BeautiControl awarded continually for "Green" conservation in our distribution & manufacture facilities in Dallas and Carrollton, Texas. Our products are packaged in eco-friendly packaging and the company implements procedures to reduce pollution and waste. Relax, Renew, Rejuvenate your senses with BC Spa. I bring the Day Spa to you at home or office. We are the #1 Premium Spa Brand pampering woman and men through home spas. 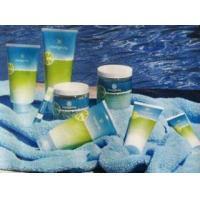 My premium products turn back time, brighten, beautify, and take you on journeys' around the world. But the people that come together truly make the difference, taking the stress out of life! You can choose from an array treatments and services. I offer "Girls Night Out, Wine & Wrinkle, Tropical Dreams, Mother-Daughter, SpaTini, Couple’s Spa, Wrap & Wrinkle, and Employee Appreciation, just to name a few. All my services are customized for you to make the Best of your experience, BC Spa is not a place; it’s a State of Mind! You can visit my website at www.beautipage.com/kristel and get your customized skin care through our S.P.A.(scientific personalized analysis) and receive you own skin care prescription or you can take our eBeauti quiz and I can assist you finding your BEST Colors, fashion tips, and take all the guess work out of picking your best wardrobe & cosmetics. Looking for time to relax, and time for yourself but not wanting to spend the money to go to a day spa? I have the perfect answer � the BC Spa. That's one of the things I love most about BeautiControl. I love helping women rejuvenate and relax with high-end spa treatments in the comfort of home or office. Since I've joined BeautiControl, I've found many more reasons I love BC: the flexibility, the friendships, the trips, the extra income. Where else can you make $100 or more an hour doing something you love? Contact me today to find out more! 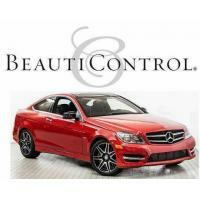 BeautiControl has been awarded and recognized as The #1 Premium Spa Brand, and it�s all because of you. 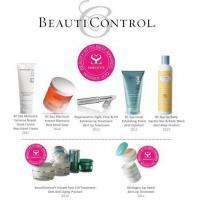 Start spreading the news that BeautiControl has been named one of America�s Greatest Brands!